Sony has finally decided to release the Tablet P in the United States. The device was unveiled for the first time in August 2011 and then released in November 2011 in Europe but until this day it hasn’t been seen in the USA. All this is going to change on March 4, when Sony officially releases the Tablet P on AT&T’s network. Users will also be able to purchase it without contract but at a higher price – 549.99 USD – but in this case they will also get the option to get a prepaid 250 MB card for just 14.99 USD. 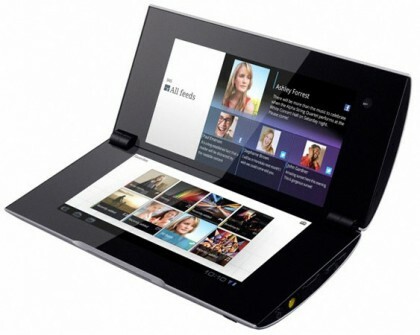 In case you’ve forgotten the specs here they are – the Sony Tablet P features two displays and sports HSPA+ and Wi-Fi. The displays are 5.5-inch in size and come with 1024×480 pixel resolution. What’s really unusual is that they open and close in a clamshell manner and when open each screen can act independently or together as one big screen. In addition the gizmo comes with NVIDIA’s Tegra 2 processor running at 1 GHz, 1 GB RAM, 4 GB of internal storage, 5 MP rear camera and a 0.3 MP front camera. At the moment the Sony Tablet P comes with Android 3.2 Honeycomb but the company promises that the OS will eventually be upgraded to Android 4.0.